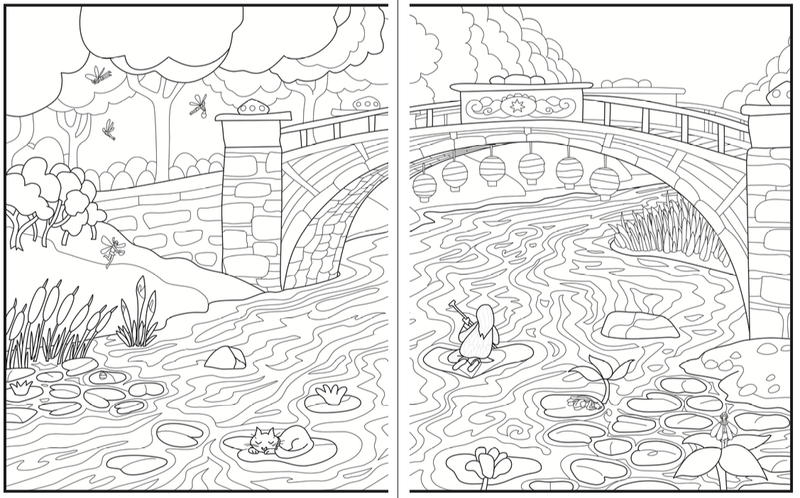 If you’re an introvert who likes to color, there’s finally a coloring book made for you. It’s called Introvert Dreams, and it tells the story of an introvert and her cat on a journey through her inner dreamworld. 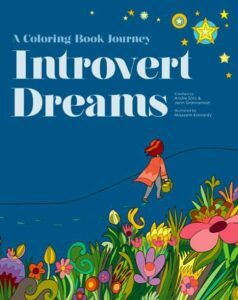 Introvert Dreams was created by yours truly, the founder of Introvert, Dear, along with two other introverts, author Andre Sólo and illustrator Maxeem Konrardy. 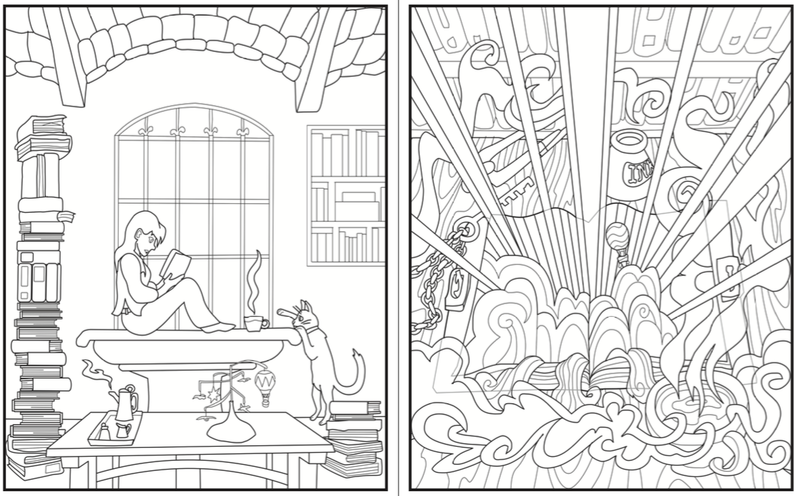 There are plenty of grown-up coloring books out there, but none that reflect the introvert’s inner experience—which is truly magical indeed. 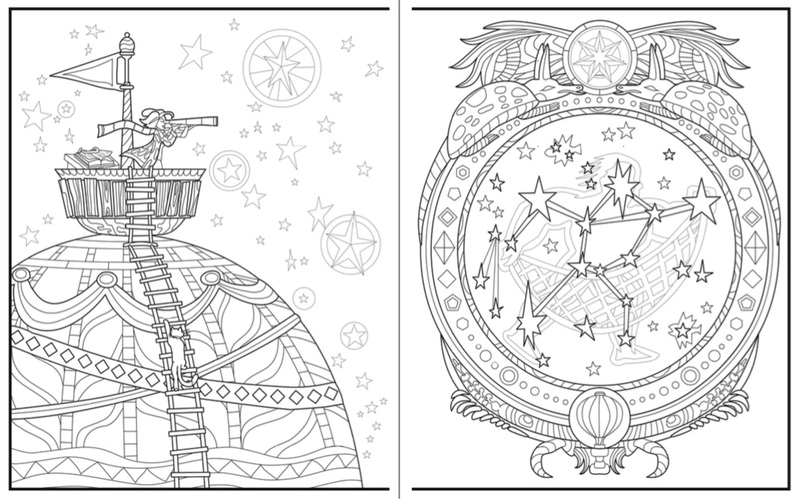 As someone who likes to color myself, I felt compelled to create a book just for us quiet ones. Introverts and coloring go hand in hand. You can color alone, at home, wearing your pajamas and watching Netflix or sipping a glass of wine (just don’t spill on your pages). Or, it’s a great activity for when you’re forced to hang out with a big group of people. 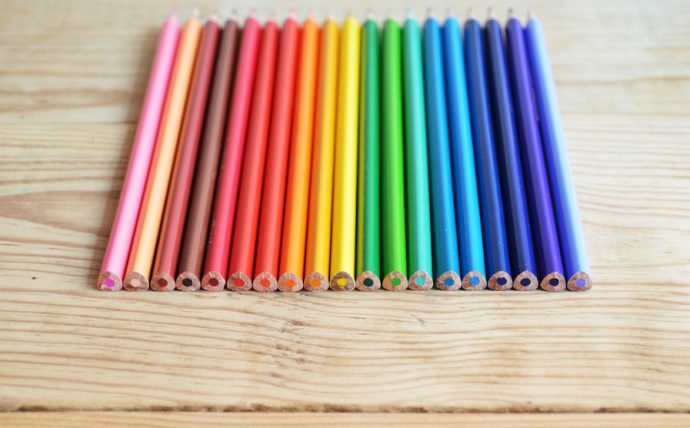 For example, when you’re sitting around with your relatives after Thanksgiving dinner, coloring gives you something to focus on, which creates a marvelous excuse for you to just sit there with your family but not actually talk. I personally color to de-stress. Filling in those tiny spaces with just the right shade is oh-so-satisfying. 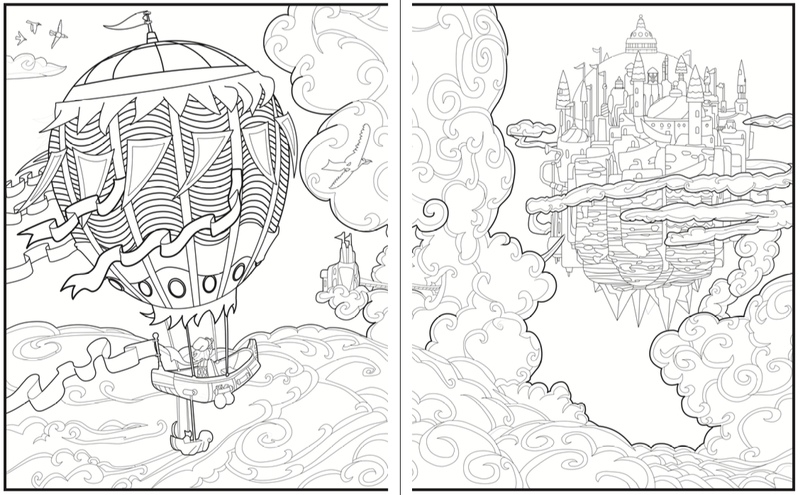 Suddenly she finds herself inside, exploring quiet, forgotten landscapes in a hot air balloon with only her cat. She relishes the quiet beauty of nature. And explores realms untouched by others. She searches for a legendary seven-pointed star, said to grant wishes. But that’s not all she finds… but I won’t spoil the surprise. Introvert Dreams is available now on Amazon. 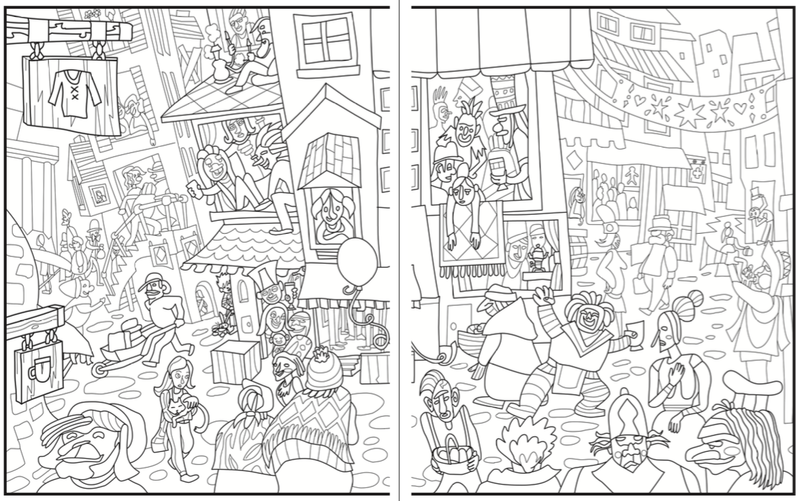 It makes a great holiday gift for any introvert or colorer.